Shadow Mountain Recovery Center is a healthcare organization that specializes in offering treatment services to adults suffering from alcoholism, substance abuse, and co-occurring disorders. The mission at Shadow Mountain Recovery Center is to provide quality treatment to all those in need. The center is located at four different locations in the country. It offers Detox, Residential Program, and Outpatient Programs. Each program utilizes holistic approaches to treatment and 12-step principles. A personalized treatment plan is created for each patient keeping in view his/her needs, preferences, and other factors. This ensures that maximum benefit could be achieved through the treatment plans for each individual. The center offers lifelong healing from addiction through historically-proven therapies as well as through state-of-the-art therapies and out-of-the-box approaches such as equine therapy, music therapy, tai-chi, and others. The staff at Shadow Mountain Center is dedicated and committed to its job of helping all those in need in a compassionate, dignified, and caring manner. All staff members are licensed and qualified professionals who excel in their respective fields. Through the modern and innovative continuum of care, Shadow Mountain offers a path of recovery to all those suffering from substance abuse and behavioral disorders. 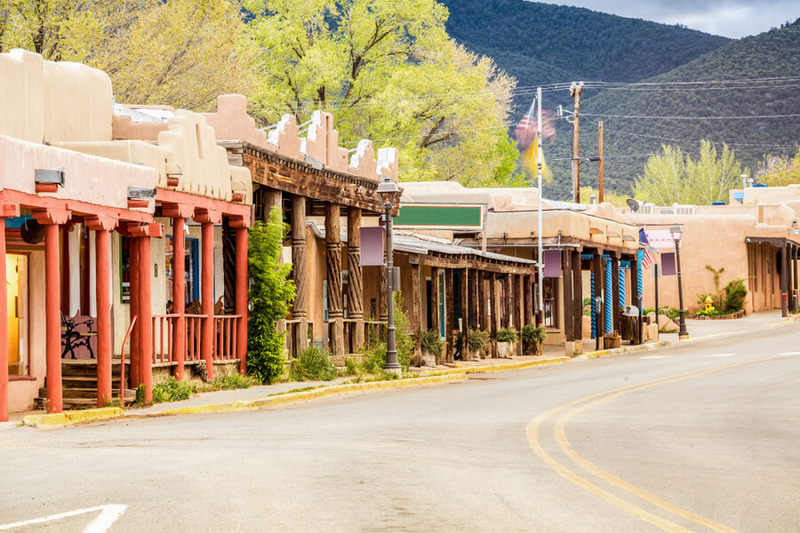 Shadow Mountain Recovery Center’s main residential program is located at Taos, New Mexico. It is spread across 37 acres of beautiful lands. The facility is nestled between beautiful mountains and provides a peaceful and serene environment where patients can reconnect with themselves and begin their healing journey. The facility can accommodate 20 male patients in the residential program. Two patients share a room which is equipped with twin beds, dressers, and desks for each one. Bathrooms are also shared among patients. A number of recreational activities are offered for residents. They have a large, fully equipped gym at their disposal. There is also a basketball court where residents can express themselves in a healthy sport. Outdoor activities include hikes on the beautiful grounds of the campus. Winter sports such as snowboarding and skiing are also available for residents. There is a large and well-equipped kitchen at the facility where residents prepare meals and eat together in the dining area. Residents are offered cooking classes once a week where they learn new and exciting ways to cook. The ingredients and products used for meals are largely sourced from the garden at the facility where residents help in farming and growing vegetables and fruits. Shadow Mountain Recovery Center offers individualized treatment plans for patients in their residential programs. The treatment programs are based on the 12 step principles which use a unique model that ensures lasting recovery for clients. The facility offers beautiful scenery and a private environment which aids in the recovery process. The residential treatment spans 30-90 days duration with an aftercare support of up to 12 months included. At the center, the emphasis is on the self-care of residents so that they are taught life skills and coping skills. These help them to successfully transition back into the community once they leave the facility. The committed staff offers love and guidance to all residents in an effort to start their lifelong healing from addiction. Residents are offered support in the aftercare program so as to prevent relapse after completion of treatment. Robb has brought with him over thirty years of experience to Shadow Mountain in leading it from the front. He has experience of successful startups of organizations. His mission is to work closely with families that have been suffering by seeing their loved ones get affected by addiction. Through quality service, he is able to offer hope and healing to such families in an effort to build back their relationships and show them a bright future. Manny has a B.S. degree in Bio Immunology from the University of Texas, San Antonio and a Master’s degree in Health Administration from George Washington University. He has experience working in Operations Management, Managerial Finance, and Continuous Quality Improvement. He then moved to the behavioral healthcare industry where he worked on data analytics to improve payer relations, revenue cycle management, and the patient experience. He is also an active member of the American College of Healthcare Executives (ACHE). Coni received her degree from the Nashville College of Registered Medical and Nursing Program with a focus in Medical Coding, Billing, and Physician Assistant. She has over 35 years of experience working in the healthcare industry in the fields of Physician Services.